Prof. Yury Gogotsi became the winner of 2016 Nano Energy Award! Professor Yury Gogotsi, Drexel University was awarded with prestigious 2016 Nano Energy Award at the 2nd International Conference on Nanoenergy and Nanosystems that was held in Beijing International Convention Center, July 13-15, 2016, Beijing, China. This award recognizes an outstanding researcher in the field of nano energy whose work reflects the interdisciplinarity of this field has contributed in an innovative and/or impactful way to solving the major energy problems facing society. Prof. Yury Gogotsi is Distinguished University Professor and Trustee Cha ir of Materials Science and Engineering at Drexel University. He is the founding Director of the A.J. Drexel Nanomaterials Institute and Associate Editor of ACS Nano. He works on nanostructured carbons and two - dimensional carbides for energy related and biomedical applications. His work on synthesis of new carbon and carbide nanomaterials with tunable structure and porosity had a major impact on the field of capacitive energy storage. Prof. Yury Gogotsi has co-authored 2 books, more than 400 journal papers and obtained mor e than 50 patents. He has received numerous national and international awards for his research, with the latest one being the 2015 Nanotechnology International Prize from RUSNANO. He was recognized as a Highly Cited Researcher by Thomson - Reuters in 2014 an d 2015, and elected a Fellow of AAAS, MRS, ECS, RSC, ACerS and the World Academy of Ceramics. 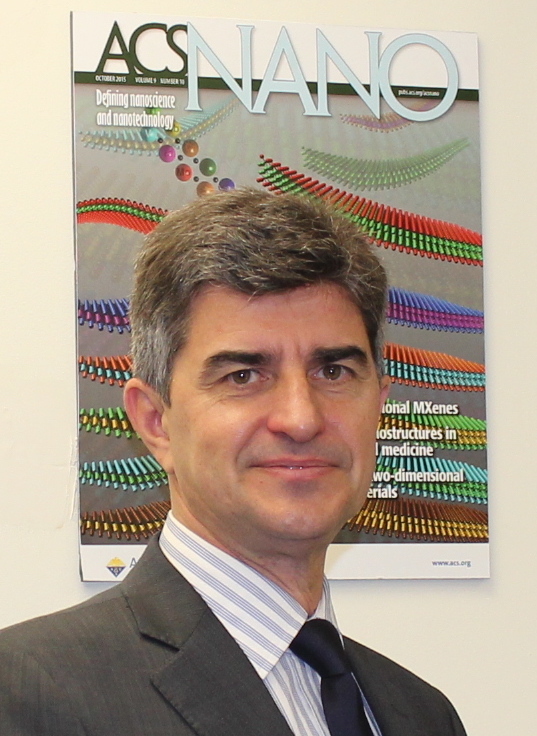 Congratulations to Prof. Gogotsi on winning the 2016 Nano Energy Award! The award will be presented to prof. Yury Gogotsi at the Nanoenergy and Nanosystems 2016 conference, which will be held in Beijing between 13-15 July 2016.